(A) General Intelligence & Reasoning : It would include questions of both verbal and non-verbal type. 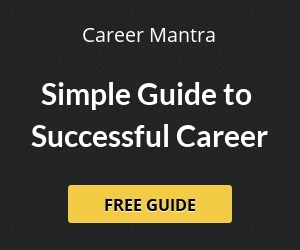 This component may include questions on analogies, similarities and differences, space visualization, spatial orientation, problem solving, analysis, judgment, decision making, visual memory, discrimination, observation, relationship concepts, arithmetical reasoning and figural classification, arithmetic number series, non-verbal series, coding and decoding, statement conclusion, syllogistic reasoning etc. The topics are, Semantic Analogy, Symbolic/Number Analogy, Figural Analogy, Semantic 17 Classification, Symbolic/Number Classification, Figural Classification, Semantic Series, Number Series, Figural Series, Problem Solving, Word Building, Coding & de-coding, Numerical Operations, symbolic Operations, Trends, Space Orientation, Space Visualization, Venn Diagrams, Drawing inferences, Punched hole/pattern –folding & unfolding, Figural Pattern – folding and completion, Indexing, Address matching, Date & city matching, Classification of centre codes/roll numbers, Small & Capital letters/numbers coding, decoding and classification, Embedded Figures, Critical thinking, Emotional Intelligence, Social Intelligence, Other sub-topics, if any. (B) General Awareness : Questions in this component will be aimed at testing the candidates general awareness of the environment around him and its application to society. Questions will also be designed to test knowledge of current events and of such matters of every day observations and experience in their scientific aspect as may be expected of any educated person. The test will also include questions relating to India and its neighbouring countries especially pertaining History, Culture, Geography, Economic Scene, General Policy & Scientific Research. (C) Quantitative Aptitude : The questions will be designed to test the ability of appropriate use of numbers and number sense of the candidate. The scope of the test will be computation of whole numbers, decimals, fractions and relationships between numbers, Percentage. Ratio & Proportion, Square roots, Averages, Interest, Profit and Loss, Discount, Partnership Business, Mixture and Alligation, Time and distance, Time & Work, Basic algebraic identities of School Algebra & Elementary surds, Graphs of Linear Equations, Triangle and its various kinds of centres, Congruence and similarity of triangles, Circle and its chords, tangents, angles subtended by chords of a circle, common tangents to two or more circles, Triangle, Quadrilaterals, Regular Polygons , Circle, Right Prism, Right Circular Cone, Right Circular Cylinder, Sphere, Hemispheres, Rectangular Parallelepiped, Regular Right Pyramid with triangular or square base, Trigonometric ratio, Degree and Radian Measures, Standard Identities, Complementary angles, Heights and Distances, Histogram, Frequency polygon, Bar diagram & Pie chart. (D) English Comprehension : Candidates’ ability to understand correct English, basic comprehension and writing ability, etc. would be tested. Quantitative Ability : The questions will be designed to test the ability of appropriate use of numbers and number sense of the candidate. The scope of the test will be the computation of whole numbers, decimals, fractions and relationships between numbers, Percentage. Ratio & Proportion, Square roots, Averages, Interest, Profit and Loss, Discount, Partnership Business, Mixture and Alligation, Time and distance, Time & Work, Basic algebraic identities of School Algebra & Elementary surds, Graphs of Linear Equations, Triangle and its various kinds of centres, Congruence and similarity of triangles, Circle and its chords, tangents, angles subtended by chords of a circle, common tangents to two or more circles, Triangle, Quadrilaterals, Regular Polygons, Circle, Right Prism, Right Circular Cone, Right Circular Cylinder, Sphere, Hemispheres, Rectangular Parallelepiped, Regular Right 20 Pyramid with triangular or square base, Trigonometric ratio, Degree and Radian Measures, Standard Identities, Complementary angles, Heights and Distances, Histogram, Frequency polygon, Bar diagram & Pie chart. English Language & Comprehension : Questions in this components will be designed to test the candidate’s understanding and knowledge of English Language and will be based on spot the error, fill in the blanks, synonyms, antonyms, spelling/detecting mis-spelt words, idioms & phrases, one word substitution, improvement of sentences, active/passive voice of verbs, conversion into direct/indirect narration, shuffling of sentence parts, shuffling of sentences in a passage, cloze passage & comprehension passage. Statistics for Investigator Grade-II – Ministry of Statistics & Programme Implementation & Compiler in RGI. Measures of Central Tendency – Common measures of central tendency – mean median and mode; Partition values-quartiles, deciles, percentiles. 1. Fundamental principles and basic concept of Accounting. Financial Accounting: Nature and scope, Limitations of Financial Accounting, Basic concepts and Conventions, Generally Accepted Accounting Principles. Basic concepts of accounting, Single and double entry, Books of original Entry, Bank Reconciliation, Journal, ledgers, Trial Balance, Rectification of Errors, Manufacturing, Trading, Profit & loss Appropriation Accounts, Balance Sheet Distinction between Capital and Revenue Expenditure, Depreciation Accounting, Valuation of Inventories, Non-profit organisations Accounts, Receipts and Payments and Income & Expenditure Accounts, Bills of Exchange, Self Balancing Ledgers. 2. Comptroller & Auditor General of India – Constitutional provisions, Role and responsibility. 8. Indian Economy Nature of the Indian Economy Role of different sectors-Role of Agriculture, Industry and Services-their problems and growth; National Income of India-Concepts of national income, Different methods of measuring national income Population-Its size, rate of growth and its implication on economic growth Poverty and unemployment- Absolute and relative poverty, types, causes and incidence of unemployment Infrastructure-Energy, Transportation, Communication. 11. Role of Inform ation Technology in Governance. 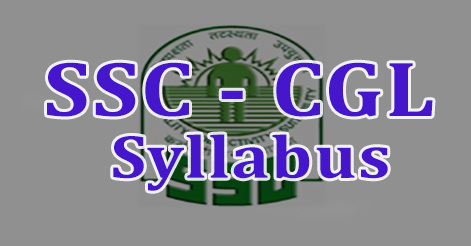 Help us to improve this article/job posting "SSC CGL Syllabus 2016". We would be glad if you can comment below and provide your valuable suggestions and feedback. If this page have any wrong information/list or out of context content, then you can report us as well.